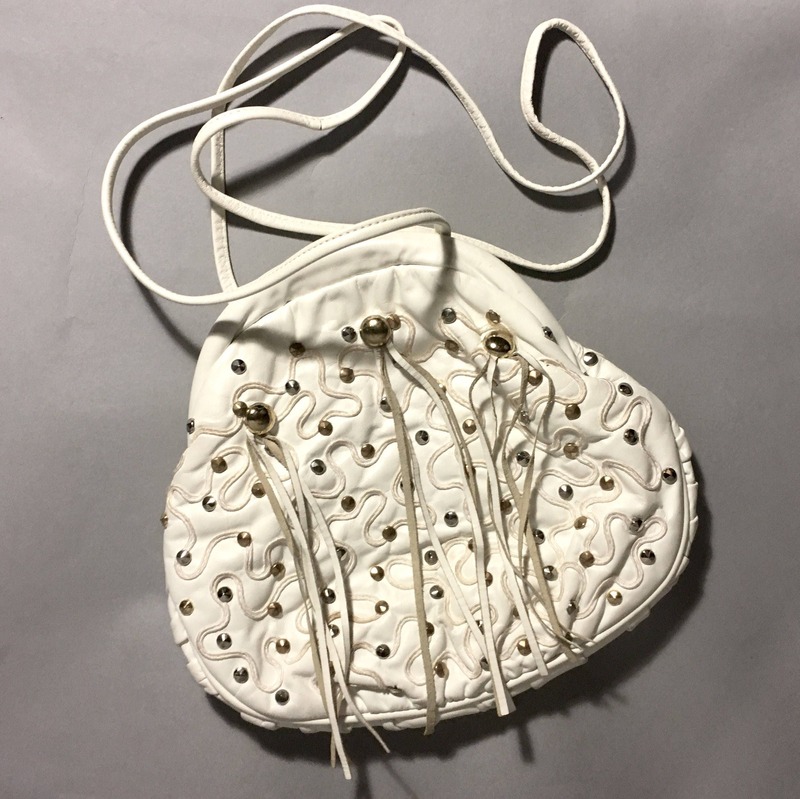 What a fun and funky fringed bag from the 1980's vintage in white leather with Gold and Silver metal studs and leather fringe. 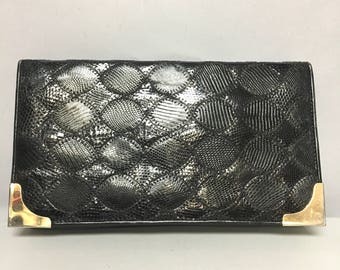 A very expensive purse in it's day, it is being offered today for a bargain! 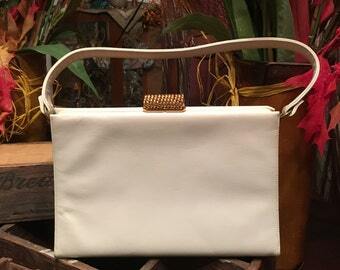 There is a 50" long shoulder strap that can be tucked in to use it as a clutch or wear it cross body. The genuine leather is soft and high-quality.. 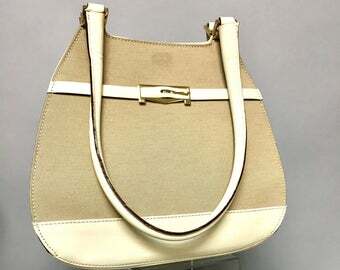 The condition is super, the leather is not dry, still supple and soft. It appears clean and like new. The lining is also very clean. Measures 10 inches across by 8.5 inches high by 1.5 inches in depth. Like this item and looking for more like it? 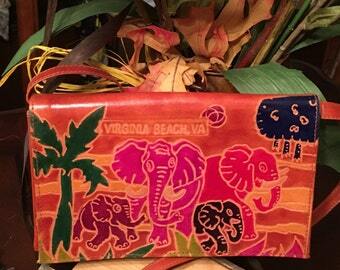 Please check out our pages and pages of vintage here at http://www.etsy.com/shop/IncogneetoVintage !